Incoming is a critically acclaimed multi-channel video installation, which employs a military-grade thermographic border enforcement surveillance camera to represent the refugee crisis unfolding across Europe, the Middle East and North Africa. 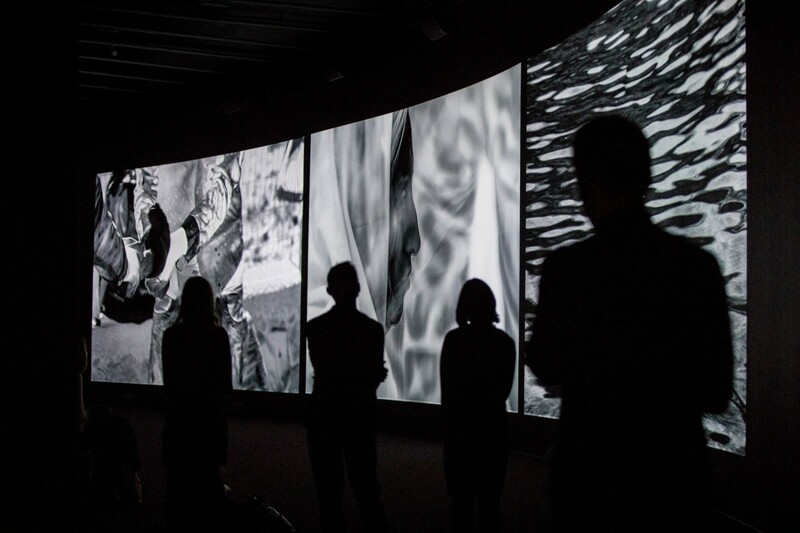 This spectral figuration of the journeys of refugees attempts to foreground issues of byotherima, bodily vulnerability, mortality, state racism, biopower, necropolitics and the erosion of the human rights of refugees. The work is made in collaboration with Ben Frost and Trevor Tweeten and co-commissioned by the National Gallery of Victoria, Melbourne, and the Barbican Art Gallery, London. Trevor Tweeten’s 16mm multi-projection installation Exquisite Corpse, Movement in Five Parts will also be on view throughout the event. Richard Mosse (b.1980, Ireland) is a recipient of the Prix Pictet, the Deutsche Börse Photography Prize, a Guggenheim Fellowship, a Shifting Foundation Grant, the Yale Poynter Fellowship in Journalism, the Frankfurt Biennial B3 Award, a grant from Pulitzer Center on Crisis Reporting and has received a Leonore Annenberg Fellowship. Mosse represented Ireland at the 55th Venice Art Biennale. He has exhibited in solo and group exhibitions internationally at venues including the Akademie der Künste, Berlin; Barbican Art Gallery, London; Louisiana Museum of Modern Art, Humlebæk; Hamburger Kunsthalle; MIT Boston; MMK Frankfurt, National Gallery of Victoria, Melbourne; The Nasher Museum of Duke University; the Victoria & Albert Museum, London, and others. Mosse has published six books. His latest monograph, The Castle, published by MACK, was selected by Teju Cole as one of the New York Times Magazine top ten Photobooks of 2018. 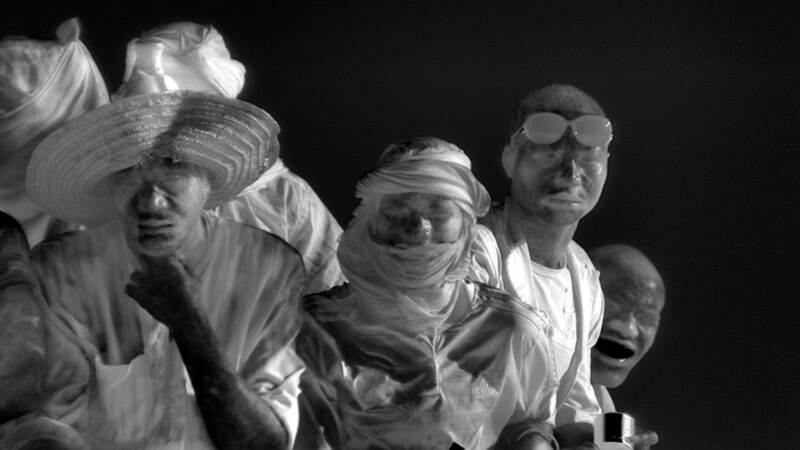 © Richard Mosse. Courtesy of the artist and Jack Shainman Gallery, New York. 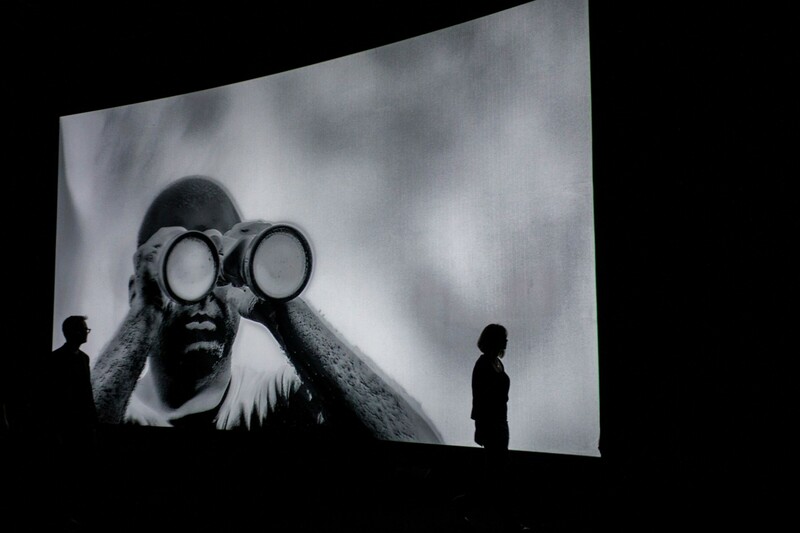 Installation view, Richard Mosse: Incoming, The Curve, Barbican Centre, London, England, February 15 – April 23, 2017. Photo by Tristan Fewings.